On this day in church history, 1837, the Plan of Union was abrogated by the Presbyterian Church (USA) General Assembly, meeting at the Central Presbyterian Church in Philadelphia. 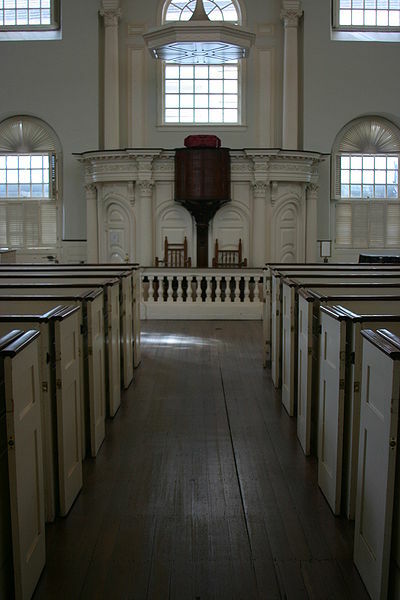 The Plan of Union was made in 1801 as an agreement between the Presbyterian Church and Congregational Churches to work together for planting churches in the west. 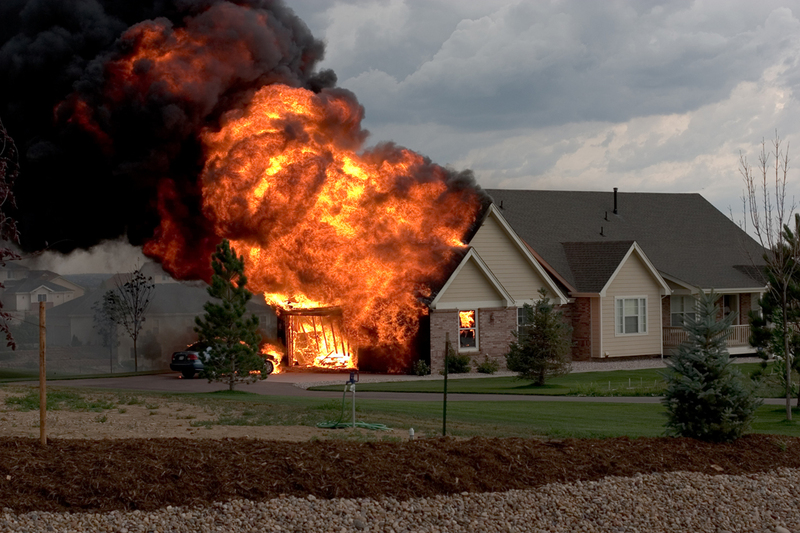 The Baptists and Methodists were outrunning both, establishing churches among formerly Presbyterian or Congregational settlers at a wildfire pace. For them, it was enough to find a man with gifts, give him a Bible and one or two other books, put him on a horse, and smack the horse’s rear, sending him forth to preach and plant churches! With their emphasis on an educated ministry, the Presbyterians and Congregationalists just could not compete. It took them years to churn out a minister. But they felt that there could be synergistic gains by working together. After all, both denominations were Reformed, Calvinist, and Paedo-baptizers, with an emphasis on simple and reverent worship. It seemed like a good idea. And the Presbyterians were badly in need of ministers. The majority of Presbyterian pulpits in the west were vacant. They did not have the institutional strength of the Congregational churches such as the seminaries Harvard and Yale, (to which many Presbyterian students already went), nor the amount of giving to home missions and pool of young candidates that New England had. The Presbyterians needed Congregational money and young men! 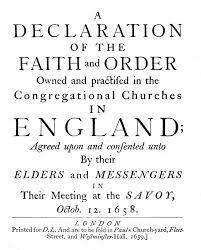 Men licensed to preach would go out and establish congregations, whether Congregational or Presbyterian, and the church plants could decide later upon being duly constituted, whether they were going to be Presbyterian or Congregational. Presbyterian ruling elders or Congregational committeemen could join together in the regional presbytery/association in the mission regions. The smallness of the Reformed/Presbyterian community of churches in comparison to the larger evangelical American context is largely a consequence of a failure to plant and maintain churches among those Scot-Irish Presbyterians who settled in the Appalachian mountain chain and kept heading west from there. It’s no secret that the Presbyterians lagged far behind the Baptists and Methodists, not to mention new groups like the Cambellites, in planting churches where people had settled in the west. They saw the problem, and tried to remedy it by forming a Plan of Union with their Congregationalist cousins to the north for planting churches in the West. It didn’t work. Perhaps nothing more could be done. It’s just that the Presbyterian/Congregationalist emphasis on an educated ministry slowed the rate of growth on the frontier based on the number of licentiates that were available. Meanwhile the Baptists and Methodists would find a young man with gifts, give him a Bible, two or three more books, and send him on a horse off to preach wherever he found people who would listen. Who could compete with that speed and agility and maintain doctrinal integrity? If you trace the areas where the Scot-Irish and their descendants (who were almost all Presbyterian in the beginning) settled first in America, and shaped the culture that newcomers would find and assimilate into, it extends from western Pennsylvania down to the western Carolinas, and west from there through southern Ohio, south Indiana, sKentucky, Tennessee, Missouri, Arkansas, South Kansas, and the North Texas Hill Country. Not to mention that these people were dominant in the initial settlements all over the far west extending to eastern Oregon. Now imagine if the dominant Christian churches over this vast region were Presbyterian. Encouraging material for any pastor. Minister. Thinker. Revivalist. America’s greatest theologian. “Homeboy” to today’s Young Reformed. Hero. Icon. [Mr. Thomas Gray] lived among the Methodists and with them only he mixed. Many ministers came over from the Independents in this way, the Rev. Benjamin Thomas being another example. It was hardly considered that a formal reception was necessary for them. Almost imperceptibly to themselves and to others, they slipped into their places within the Connexion. Jones and Morgan, The Calvinistic Methodist Fathers of Wales, The Banner of Truth Trust, vol II, 198. Although it has become popular in certain theological circles to define the law/gospel dichotomy as being equivalent to the difference between the indicative voice: gospel, (that is, what Christ has done,) and the imperative: law, (that is, what God requires of us,) this is an artificial distinction. The gospel itself, as the divines of the 1658 Savoy Assembly note, has precepts added to it and required in it, namely, “repent and believe”. This is important for our understanding of the gospel. “In this way Roman Catholics are deceived. They delight outwardly in images of Christ depicting his sufferings, resurrection and glory. By these images they think their love for him grows more and more strong. But no man-made image can truly represent the person of Christ and his glory. Only the gospel can do that. John writes not only of himself but of his fellow apostles also, ‘We beheld his glory, the glory as of the only begotten of the Father, full of grace and truth’ (John 1:14). Now what was his glory of Christ which they saw, and how did they see it? It was not the glory of Christ’s outward condition for he had no earthly glory or grandeur. He kept no court, nor did he entertain people to parties in a great house. He had nowhere to lay his head, even though he created all things. There was nothing about his outward appearance that would attract the eyes of the world (Isa. 53:14; 53:2-3). He appeared to others as a ‘man of sorrows’. Neither was it the eternal essential glory of his divine nature that is meant, for this no man can see while in this world. What we shall see in heaven we cannot conceive. What the apostles witnessed was the glory of ‘grace and truth’. They saw the glory of Christ’s person and office in the administration of grace and truth. And how did they see this glory? It was by faith and in no other way, for this privilege was given only to those who ‘received him’ and believe on his name (John 1:12). This was the glory which the Baptist saw when he pointed to Christ and said, ‘Behold! The Lamb of God who takes away the sin of the world!’ (John 1:29). Amid the rampant unbelief in the world, one often hears people putting up roadblocks and obstacles by describing that which keeps them from believing the good news of reconciliation with the Creator through Jesus Christ. The most common objections verbalized tend to be along the lines that evidence is lacking for God, for the integrity and truth of the Bible, that the morality revealed in Scripture is outdated, or that the Bible’s record on such things as creation is contradicted by modern science. But as we know from human experience, things are not always as they appear when it comes to people saying why they do not accept something. People are prone to not indicate the real obstacle that prevents them from coming to Christ. Would it surprise you to know that the biggest obstacle to people’s acceptance of the gospel of Jesus Christ today is not a lack of evidence, but self-righteous pride? The Bible humbles the pride of man. It describes him not as righteous, but as ungodly, unholy, evil, undesirable, and unworthy of any consideration or favor from the Creator. According to the Scriptures, the good news is that God has offered eternal blessing in Christ to those who only deserve His eternal curse and punishment in hell forever. People just cannot accept the picture that God paints of them in Scripture. They are offended by what He says about them in His word: that they are vile, corrupt, and worthy only to be cast into hell forever. That is the biggest obstacle that the average person has to receiving Jesus Christ as Lord and Savior. It is pride. It is an unwillingness to accept that they are as worthless as God says they are. For it is only those who recognize their need as sinners, and their utter inability to help themselves or to do anything pleasing to the Creator, which makes them ready to receive the free gift of salvation in Jesus Christ the Savior. The world’s biggest obstacle to receiving the gospel is not a lack of evidence for God or the Bible; It is the pride of humans who think they are good people. Thanks be to God that for those of us who have embraced Christ when we heard the gospel, the Lord subdued our self-righteous pride and stubborn will, informing us of our miserable condition, making us willing and able to receive Him as He was offered to us as Savior. *Ebenezer Pemberton, Don Kistler, ed., The Puritan Pulpit, Orlando, FL: Soli Deo Gloria Publications, 2006, p. 207. Jones & Morgan, The Calvinistic Methodist Fathers of Wales, (The Banner of Truth Trust), vol. I, p. 346. A New Bible study starts next week in San Diego!